The first thing I do whenever I want to invest money in something is to get onto Google and find out if it is a scam or something. Trouble is, most of the resultant websites are there to sell me the product I'm trying to find out about. Of course they aren't going to tell you the truth. They make money out of me buying the product they are giving an "honest" review about. When it comes to building an online business it is even worse. They often link to websites about building websites that then link to others about building website. You'll find a lot built by something called Wealthy Affiliates and they will all have affiliate links on them trying to sell you... Wealthy Affiliates. They might all promise you riches beyond your wildest dreams while sipping cocktails on tropical beaches. I've been down those roads and they lead nowhere except misery lane and personal disappointment. I'm not going to "sell" you anything and any link in this article won't make me a penny. 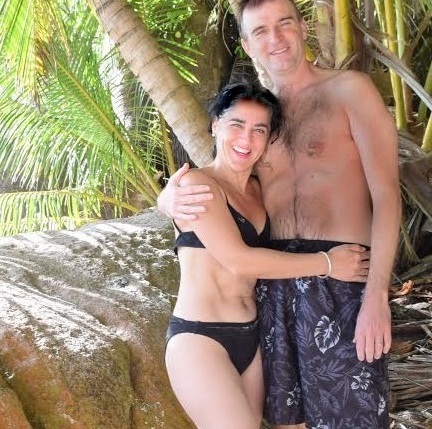 I just want to tell you that I HAVE built a business that allows me to sip cocktails on the beach with my lovely wife Maria. Hard work and Solo Build It that is how. Without effort and without Solo Build It I would not have made it. Even my following on Facebook is thanks to the things I learned from them. Most crucially, I learned from them that building a website is NOT building an online business. Plenty of companies out there will get you a pretty website up and running. Only Solo Build It will give you a really good chance of building a successful online business. The type of business that will make those dreams of spending your days doing the things you love a reality. So, bottom line, I'm not trying to sell you anything. I'm not paid by anybody and I don't make money "selling" you Solo Build It or anything else. My website makes me me a good living through helping people to travel to beautiful places. I only recommend places that truly offer a great experience, I don't even accept money from hotels or restaurants and I don't like to see people getting conned. Much like I don't want you to travel half way across the world for a second-rate experience I don't want to see people conned by those scam artists out there who offer you a website to make your dreams come true but don't deliver. I've experienced it all myself and I only wished I'd found someone years ago to tell me what I'm telling you now. It would have saved me a lot of money, time and disappointment. Now do yourself a favor. Listen to what I'm telling you and get Solo Build It! in your life.